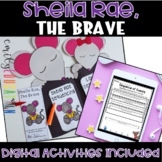 This lesson uses the children's book Sheila Rae, the Brave by Kevin Henkes to teach the Learner Profile attribute risk-taker. It includes the step by step lesson plan, visuals, and activities. 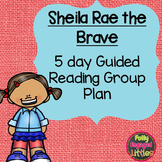 Use this literacy activity and craft with the book "Sheila Rae, the Brave" by Kevin Henkes. A great way to promote text-to-self comparisons and engage students in a simple craft involving the main character. Please leave a comment and rating. Your feedback is greatly appreciated and helpful! The activities in this packet cover the following skills: beginning, middle, end cut and paste finding small chunks inside big words story elements cut and paste cause and effect text to self connections This work is licensed under a Creative Commons Attribution 3.0 Unported License. 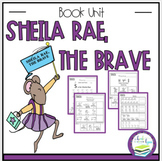 Sheila Rae, The Brave by. Kevin Henkes Book Study You can also buy this in my Kevin Henkes Author Study Bundle by clicking here The first few pages are; Cover, Table of contents, and Explanation of Pack Color By Sight Word p.4 Teacher Vocab Word Cards p.5-6 Vocab Flash Cards p.7-8 _____ is brave! 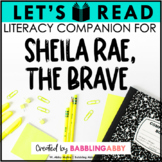 Sheila Rae, the Brave by Kevin Henkes: A Complete Literature Study! This Reader's Theater is adapted from the cute story by Kevin Henkes called Sheila Rae, The Brave. My students love this story! Every child wants to feel brave, and this story embraces the fact that sometimes you might not feel so brave at all. This Reader's Theater has roles for four students. 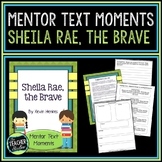 Great tool to make connections to being fearless and fearful using the story Sheila Rae the Brave by Kevin Henkes.